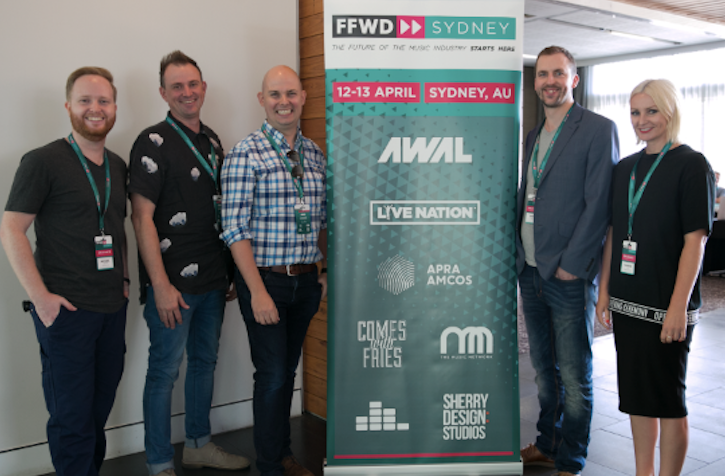 In the run-up to its second edition on April 11 & 12, boutique music conference for the next generation of leaders, FastForward Sydney, has announced the return of Hackathon and more speakers. FastForward, Warner Music Australia and digital agency Comes with Fries team up again to bring back ‘Can We Hack It’ with Amazon Alexa. Challengers will be tasked with creating a voice experience with Alexa Skills to enhance the consumer experience. That can be discovery, rediscovery, curation or any other innovation combining voice and music. Starting on Friday, March 29 until April 7, teams from music, entertainment and tech from across Australia, get 10 days to create a brand new skill for music fans – supported by the Alexa Skills team. These contenders will then be judged by experts from around the globe, including Simon Cahill (Warner Music, Australia), Vanessa Picken (Comes with Fries, Australia), Takayuki Suzuki (ParadeALL, Japan), Julie Knibbe (SoundCharts, France), Jeff Bronikowski (Warner Music Group, USA), Chris Carey (Media Insight Consulting, UK) and Kate Burleigh (Amazon, Australia). The winner will present for 15 minutes at FastForward Sydney and take home an Amazon Echo and $5,000. Last year’s winner was Brisbane/New York apps studio for the music industry Hydric Media. Working with the likes of Spotify, Sony Music, MTV, CMT and eMusic, Hydric Media is behind popular music discovery platform Wonder.fm and hip hop app White Label. Its co-founder Eoin McCarthy said of the hack initiative, “When we first saw the call for creative music tech hacks, we were really excited. “Hydric has been operating in the music tech space for over five years, and we rarely see challenges like the Can You Hack it hackathon, which allows us to push boundaries whilst aligning with our core values. FastForward founder Chris Carey added; “Music search has always been challenging. “Describing music in words isn’t easy. I like the beat, the tone of her voice, the rhythm. “It can mean such different things to different people. Simon Cahill from Warner Music Australia stated, “Innovation is in our artist’s DNA, It’s in our staff’s DNA and we want to find out who in Australia has that same DNA we can take to the global stage. “With Amazon and Alexa on board for this year, we want to use the rapidly expanding world of voice to help find a way to give fans greater access to their favourite artists. The 10 latest additions, revealed this morning, are Simon Cahill (VP partnerships + audience management, Warner Music Group), Renee Hermsen (promoter, Live Nation), Jackie Antas (GM communications, Live Nation ANZ), Poppy Reid (managing editor, The Brag Media), Keith Tan (CD Baby, Singapore), Helen Marcou (Bakehouse Studios/ SLAM), Melody Forghani (twntythree music) and Mel Cheng (One Louder). Tickets for FastForward Sydney are on sale now.